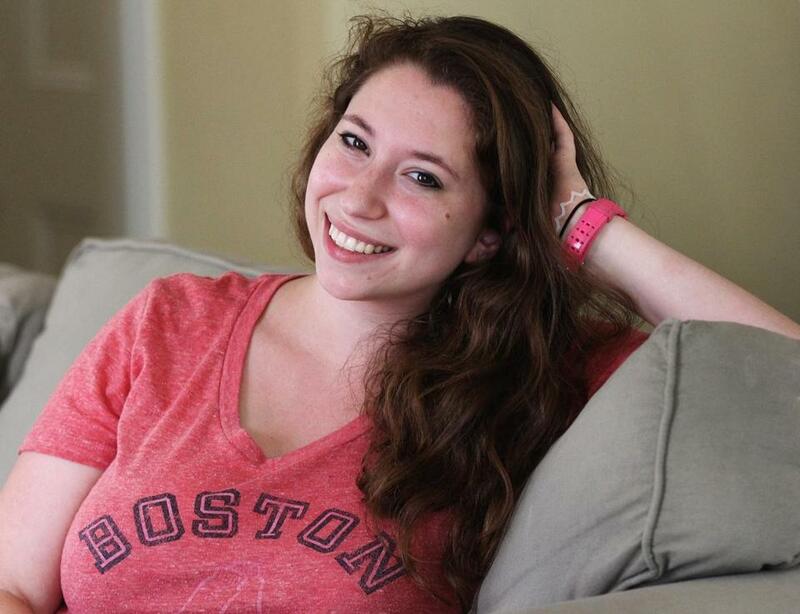 Hannah Leschinsky, 20, a student, is like the nanny equivalent of an office temp. Working as a family’s nanny often means building a long-term relationship. What Hannah Leschinsky is doing can seem more like speed dating. 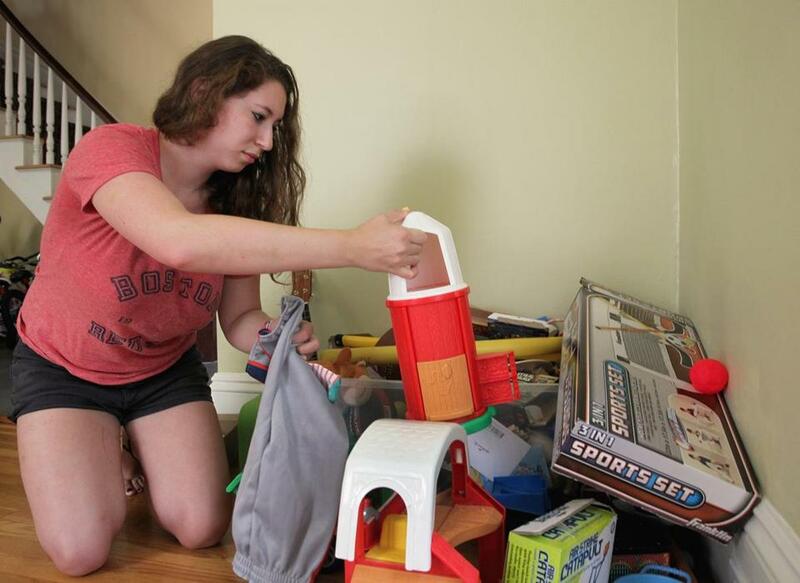 Leschinsky, a 20-year-old student who is home in Brookline and working this summer, parachutes into a new household a few times a week as the nanny equivalent of an office temp. She asks a lot of questions, plays a few games, maybe shares a meal — and then she’s on her way. “It’s a new family every day,” said Leschinsky, who was in Cambridge on Tuesday feeding a 3-year-old blueberries because the little girl’s day care was closed. This is Leschinsky’s second summer working as a temporary nanny to fill gaps in child care — in case, say, a regular babysitter or nanny is on vacation, or a work emergency emerges. This isn’t “Nanny 911,” the reality television show in which a stern Englishwoman arrives to whip out-of-control American families into shape. In fact, it’s more like the opposite: Leschinsky is tasked with quickly learning a new family’s preferences and peccadillos in the space of a few minutes, then spending the day keeping their youngsters safe, fed, and happy. “It’s a different trick, getting to know them quickly so they feel comfortable,” said Leschinsky, who is studying interior design and architecture at Parsons school of design in New York City. She doesn’t get to work with children during the school year, and by spring she’s looking longingly at babies and toddlers on the street. “Even though they’re little, they’re much smarter than people think,” she said. “They figure things out. And they remember everything. “A lot of people see babysitting as ordering food and watching TV,” she said. “But this is like a full day activity.” She forages — with permission — in the family’s fridge for lunch, and bonds, however briefly, with her charges. There were the brother and sister who loved animals but had no pets, and so they took a field trip to visit Leschinsky’s cat in Brookline. There was the little boy who fell and cut his lip, whom Leschinsky distracted by helping him count his teeth. And then there was the 3-year-old who started calling out the names of streets they were passing on the bus. Leschinsky asked her tiny friend how he was doing that. “He said, ‘I’m reading them, of course,’ ” she recalled, causing her to look incredulously at the little genius. Hannah Leschinsky of Brookline fills gaps in child care when there are emergencies or the regular nanny is away. Some days bring a detailed plan that includes meal times and snack times, favored books and toys, and maximum allowed screen time. Others involve a simple introduction and the handing over of the house keys. Leschinsky’s own childhood sometimes included babysitters from Parents in a Pinch, which is now part of Care.com — the Waltham-based company that connects families with temporary nannies like Leschinsky. “I said, ‘I want to work for them,’ ” she recalled. And now, during the summer, at least, she does. “I get here before they leave, and I’m home when they get back,” Leschinsky said. There are, to be sure, ancillary benefits. One family she met through the website asked her to come along and “work” on the family’s Catskills vacation. And while Leschinsky is forgoing unpaid internships in her field because she needs to save for college, she looks forward to ogling the dozens of homes she sees inside and out over the course of the summer, scanning for design ideas she can bring back to school in the fall. On a quiet street in Cambridge this week, the 3-year-old had a hold of Leschinsky’s smartphone. “You are making her very happy,” said Ramon, the girl’s father — she isn’t usually allowed to play with her parents’ phones. This was to be Hannah’s second, and last, day at the house. Next week, it’s on to some other family.